First things first... You have been a resilient reader and have been seen the trademark HyperGeometrical Universe Expanding Hyperspherical picture above time after time... It is about time for me to explain the exact meaning of each line. The first thing you notice is a green circle - this is the cross-section of what we know as our 3-D Universe. X is any direction. Notice that the model defines that the radius of curvature is equal to the dimensional age of the Universe (c - lightspeed times the age of the Universe - circa 15 billion years). Also notice that even though the curvature is defined by the motion along the fourth-coordinate, this is not the curvature that is referred to in General Relativity. That curvature is measure between the 3-D Universe and time (or spacetime). That curvature is influence by velocity and mass here and in the General Relativity. The curvature in the figure relates to the Hubble expansion process. Simple geometric considerations indicate that the average receding speed between two points of the Universe is c*Fi , where Fi is the Cosmological Angle. For a π radian angle (opposing points in the shock wave Universe) would result in a receding velocity of π*c. Notice that Universe expansion in this model does not requires any Dark Energy or Antigravitational Force although we do have Antigravitation in it. Antigravity will be covered in the HyperGeometrical Universe Standard Model. The receding speed for two points separated by one radian is c, that is, at one radian the average Hubble speed will be c and any radiation from that region will appear in the microwave region due to Doppler effect. This means also that one can never reach any point after one radian from where you are, the further you travel, the further the one radian point recedes. One can never observe any event that is moving away from you faster than the speed of light, one cannot see any point further from you by one Cosmological Radian. The initial space fluctuation was a little Hypersphere prior to breaking apart into all the particles of the Universe. Due to symmetry (perfect Hypersphere), the initial decomposition occurred in all places of the Universe. This means that wherever you are is where the Big Bang occurred. It also means that if you look far away (with a telescope), you will see the beginning of times or thereabouts. I will digress about the meaning of time later. These inital fluctuations will be covered in the Hypergeometrical Universe Cosmogenesis. Follow the Yellow Brick Road to learn about time projections and a simple way of thinking in five dimensions. You will also learn why τ is called Dimensional Time when it is clearly a direction in the Four-Dimensional space. If you didn't go to the Yellow Brick Road, I will like to tell you that along that direction lies actually two directions (one direction and one projection) because linear motion is equivalent to two rotations. One around the axis perpendiculat to XΦ and another around the axis perpendicular to XR. One angle is imaginary and the other is real, respectively. Now it starts to become clear that the motion of the particle is actually in a five dimensional space (four physical dimensions and a time) and at the speed of light, being the three dimension motion just a drift. If you need to review supporting arguments about the last statement click here. Rotations imaginary or otherwise will reproduce nice relationships between waves. 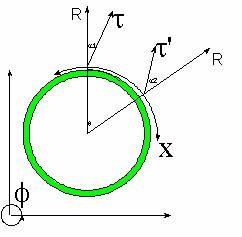 The imaginary angle rotation will produce Relativity, since it is a Lorentz transform. Here the directions are proper time and X. The real angle rotation will reproduce a nice visual relationship between the wave decomposition components (τ Direction propagating wave and the X direction propagating wave). The Gradient of this waveform should be set to zero and the closest maxima to each particle found. Notice that there is a k-vector in the equation. The k-vector has to be modified for particles in motion (magnetism from DC currents and electromagnetism from AC-currents). The modification is the appropriate Lorentz transformation and it is how I derived the Biot-Savart equation. The derivation will be presented later. This equation shows a body with N dilators (X Particles) interacting with another with just one. Notice that the first has a cosine on the denominator while the other doesn't. The reason for that is the usage of a "Short Wavelength Approximation". The large mass wave contribution is thought to have a small wavelength, thus the cosine oscillation is extremely fast. This means that maxima due to that contribution are bound to be extremely closely together. The oscillatory cosine is approximated by a constant. Notice that there is a P factor that relates to the dimensionality of the decay. 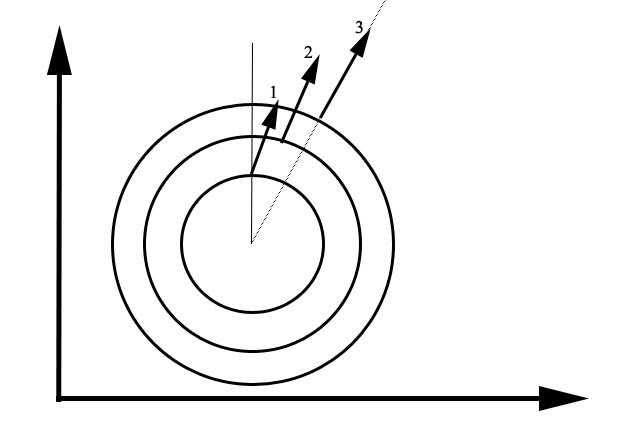 Notice that the "field" equations are two dimensional (cross-sections) and that the decay happens in terms of the increasing circular perimeter. The perimeter increases in terms of the number of spatial dimensions (3) plus spin*(fourth-dimension). For example, for a particle of spin half P would be 3.5. For a particle of spin zero (neutral matter) P would be 3. It is slight complicated to understand that a body (collection of dilators) is perfectly lined up with the space in which it is embedded. When I decided to blog this theory, I hoped that it would generate enough interest and bring more scrutiny to it. While creating it, I tried to get people to read it without success. Many people following the same idea, repeating the same Mantras, Higgs Bosons, Conjecture This etc... will never be able to think outside that vocabulary. It was never said, the theory of everything would require a fresh perspective...:) Before scalating complexities for complexity sake, one should see if one can find simplifying assumptions. I looked around and found a few. Well, let's not be too involved with one's own ideas and restate this as, there should be a place in the literature for ideas which are not the one's which are the mainstream, giving that they have a rational support. I believe my ideas fall into that category.